/ How to hide naughty photos on my iPhone? First off, the obligatory warning: R-rated and particularly X-rated photos are really not great to share on digital devices. They tend to hang around forever and while the intention now is pure and innocent (well, maybe not entirely innocent!) it’s hard to predict what’ll happen months or even years down the road. If you really insist on these sort of photos, however, can I gently suggest something like Snapchat since those photos are automatically deleted from both devices after 24 hours? First off, realize that if you’re using cloud backup services like iCloud as soon as a photo hits your Camera Roll it’s likely to be copied up onto the master backup and possibly then duplicated on other iOS devices that share that account. Kind of the opposite of what you want, right? Photos in Messages are safe, unless you’re also backing up your messages so you can use them across devices. Save a photo from an SMS message into your Camera Roll and it’s definitely something your kids can stumble across if, like mine, they use your phone to take photos and then look at them later. 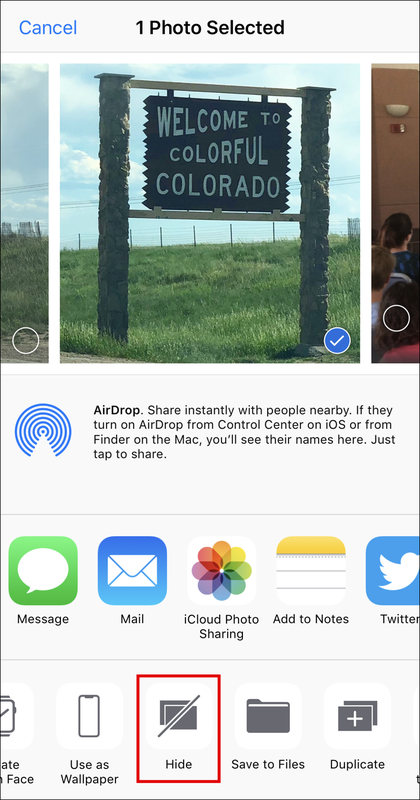 So there’s a kind of solution baked into iOS: Hidden photos. 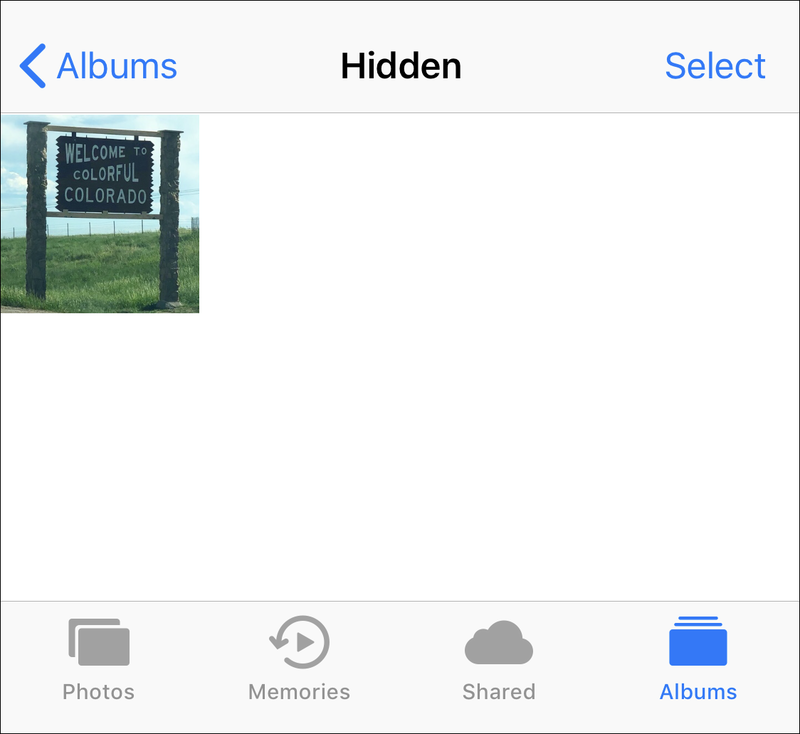 Basically “Hidden” is a special album that appears if you start hiding photos. Every hidden photo automatically vanishes from your Camera Roll, however, and while they are backed up to iCloud, they are apparently “not visible when viewing the library from a web browser” according to a chat group. 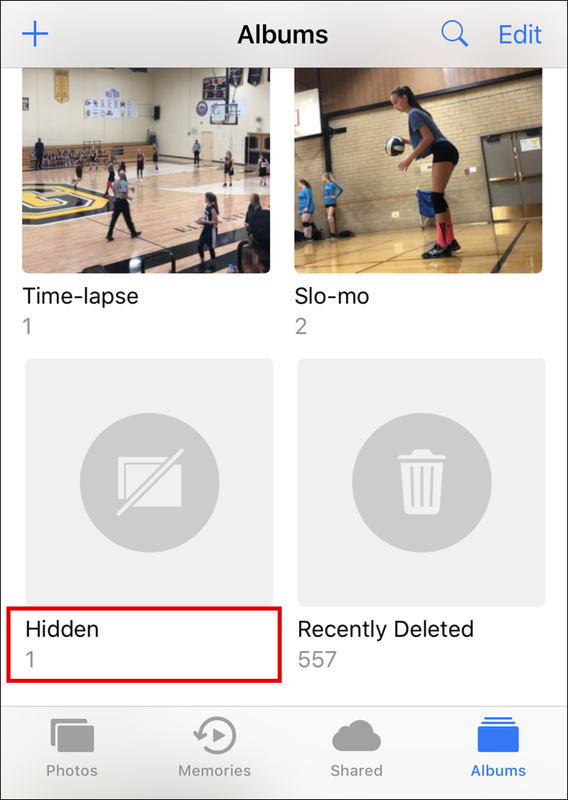 Of course, “Hidden” is visible as just another album so if your kids move out of Camera Roll to explore, they’ll see it and be able to view all the “hidden” photos. Kind of a half-hearted implementation on Apple’s part, if you ask me (why not have it prompt for a secret PIN code or password?) but… let’s see how it works anyway. As highlighted, you want to choose “Hide”. As you can see, there’s no indication that the photo used to be there, and if you swipe from photo to photo it’s invisible with no indication it was ever there. Kind of like deleting the image, really. Pro Tip: We have lots and lots of iPhone and iPad help. Please take a few minutes to check it out while you’re here! You can delete this reply afterwards if you like. Ah, neat idea using Notes to keep things protected. Thanks for sharing this, Alex!